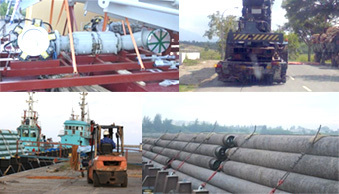 In light of the vast experience that the company has, it is apparent that we have the experience and opportunity in handling various types of cargo, it should be noted that no cargo is too small or too big for us and the same amount of care and diligence is exercised in all instances. Copyright © 2015 NYN ENTERPRISE SDN. BHD.